Nationwide availability of the industrys premier Low-Slope Products! 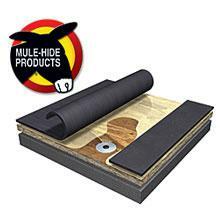 With distribution centers serving the United States and parts of Canada, Mule-Hide has been one of the most trusted names in low-slope roofing since 1985. The long-held promise of performance behind the Mule-Hide name, trusted in roofing since 1906, continues today with premium quality low-slope products that meet the current and emerging needs of the design community.